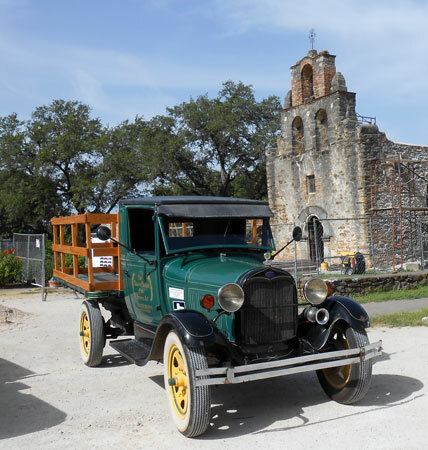 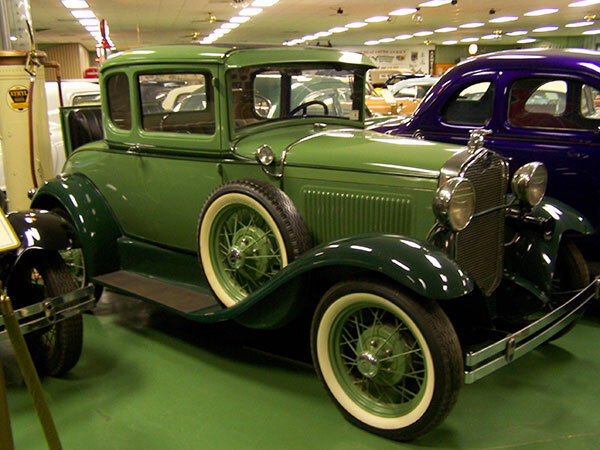 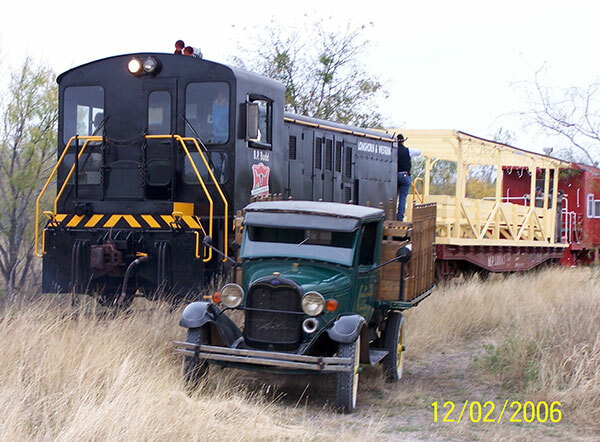 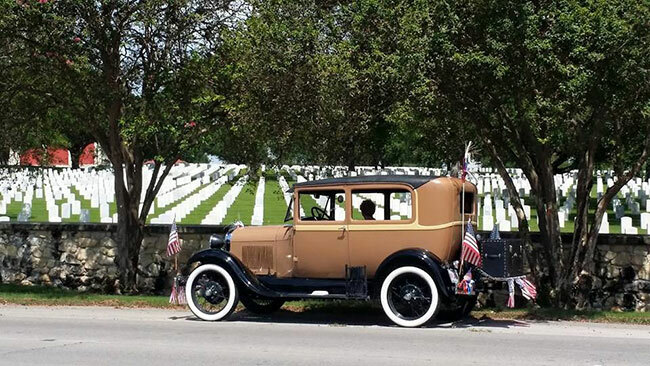 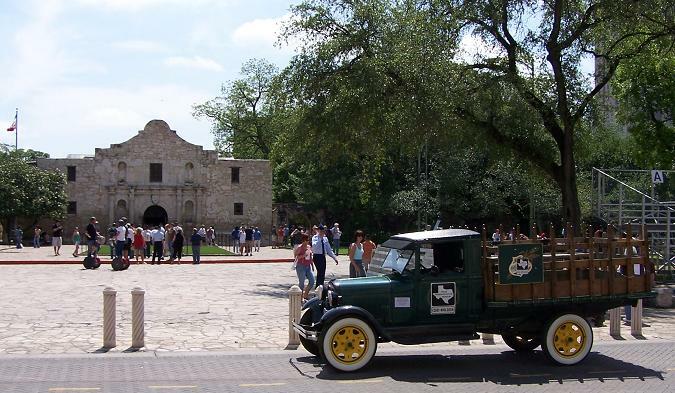 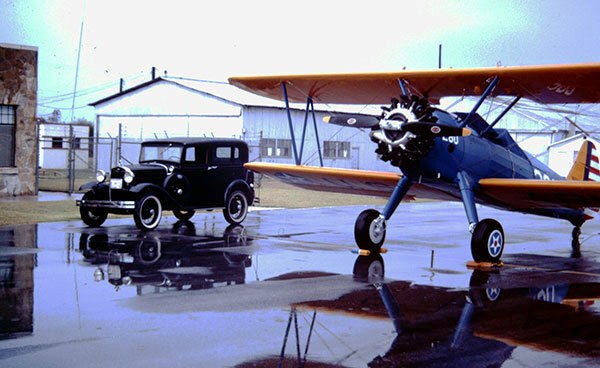 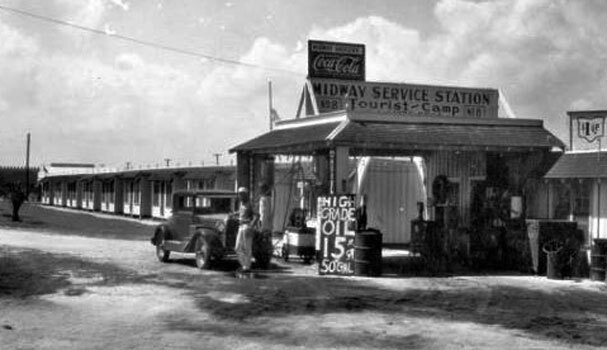 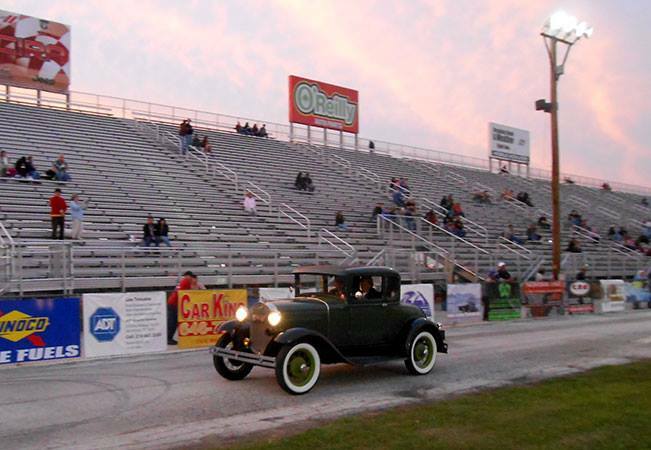 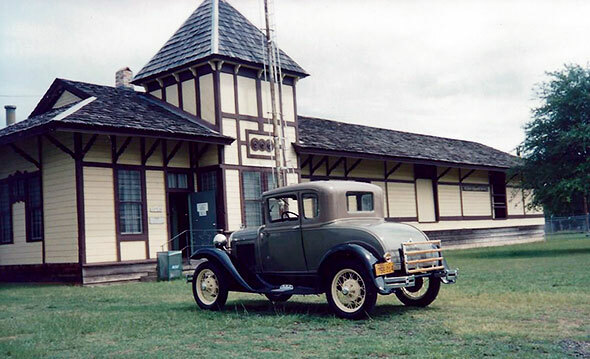 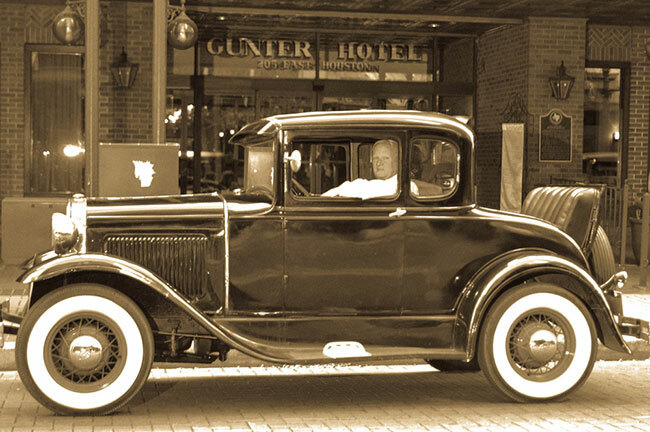 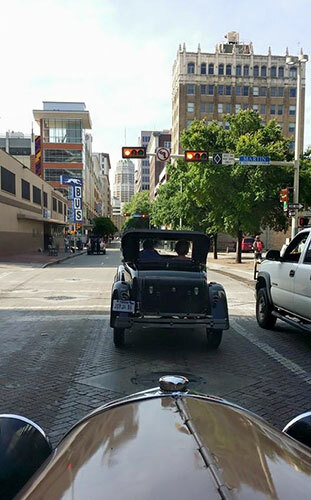 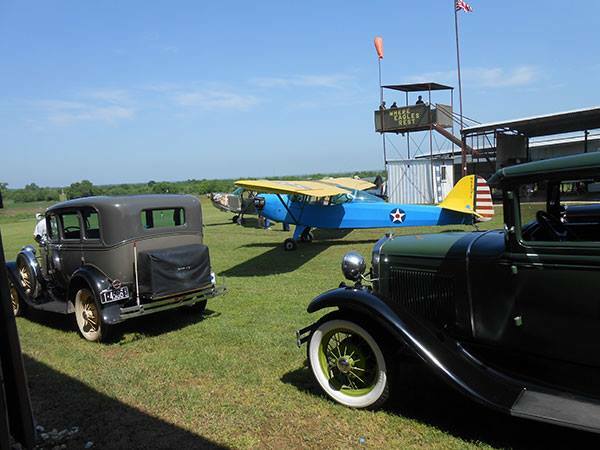 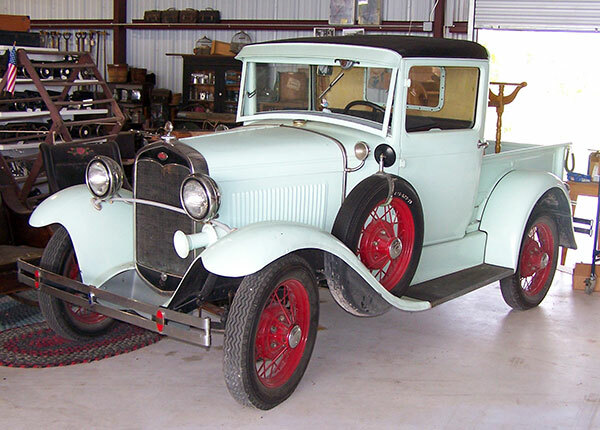 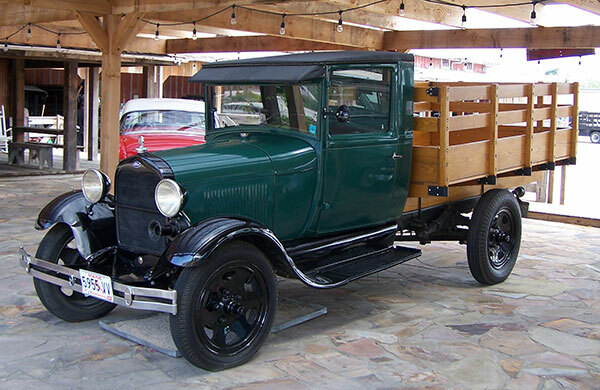 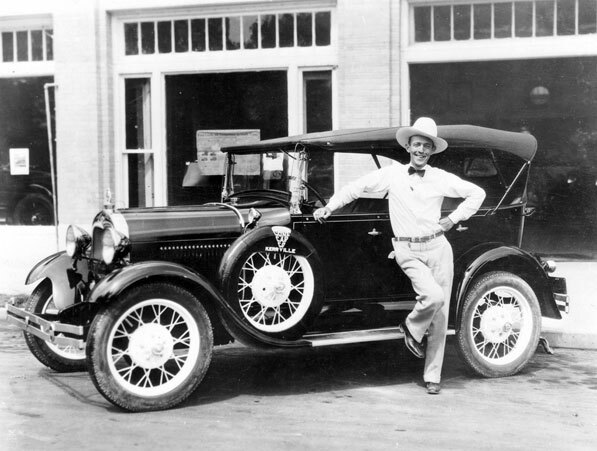 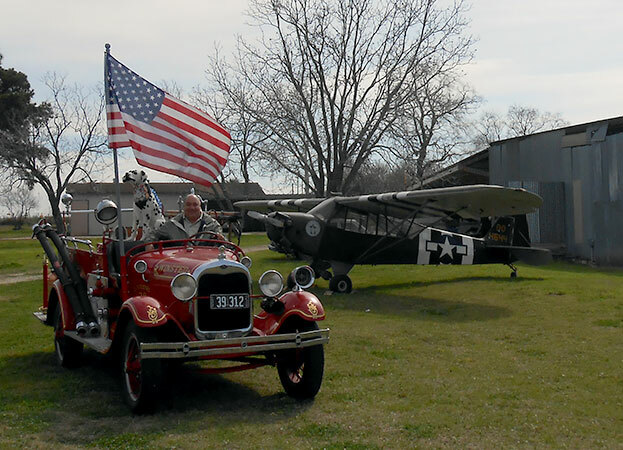 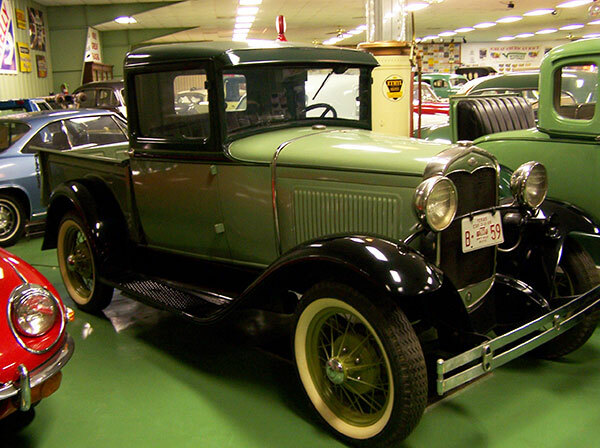 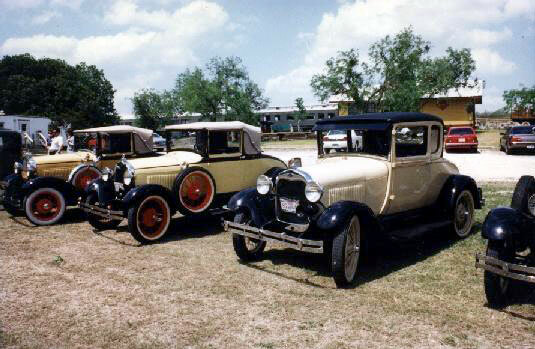 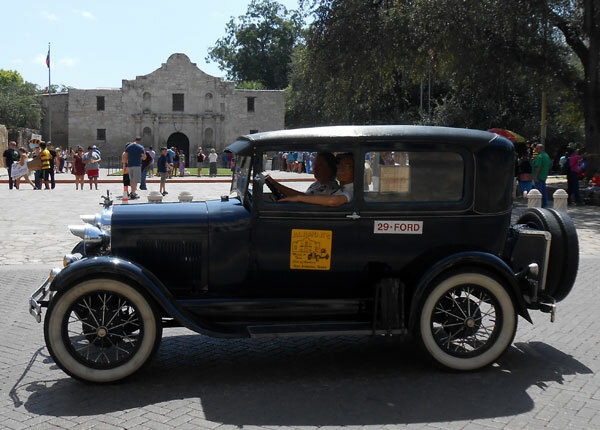 Ever since the first Ford Model A arrived in San Antonio during a 'blue norther' on Friday December 2, 1927, it has been very popular. 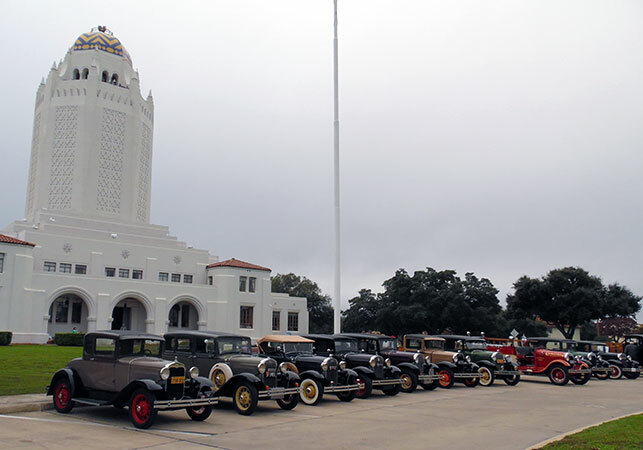 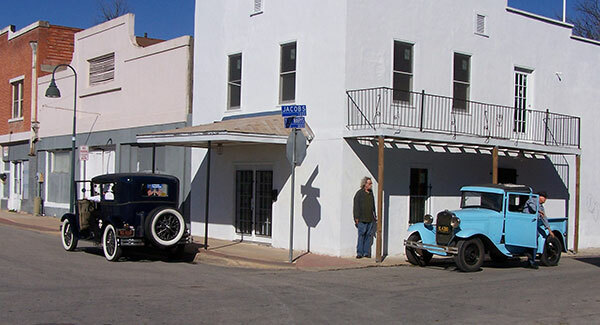 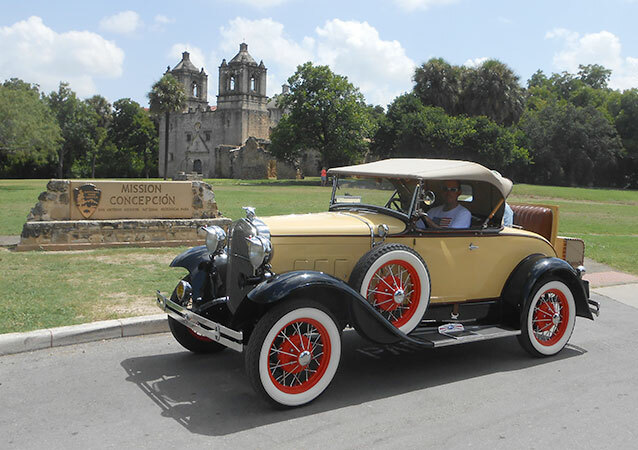 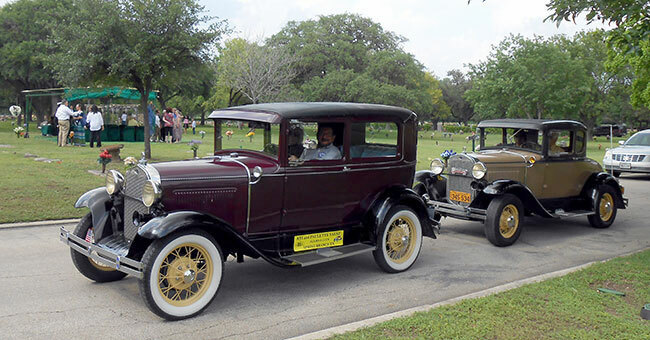 The Alamo A's, formed in 1965, to celebrate this wonderful vehicle, is one of the oldest car clubs in San Antonio. 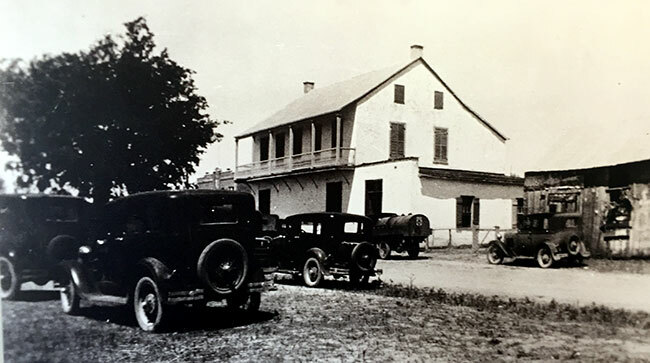 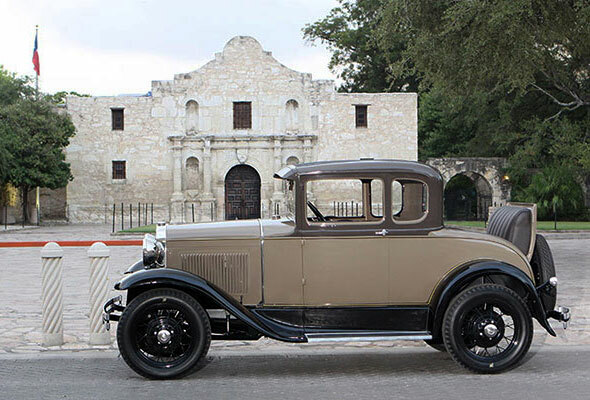 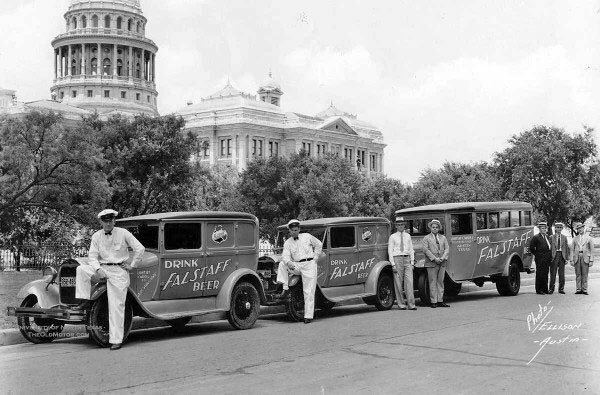 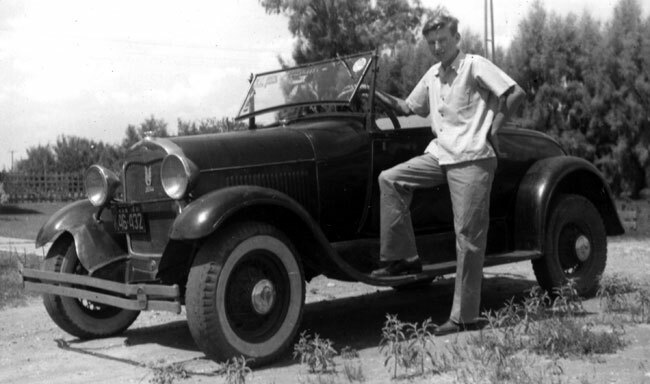 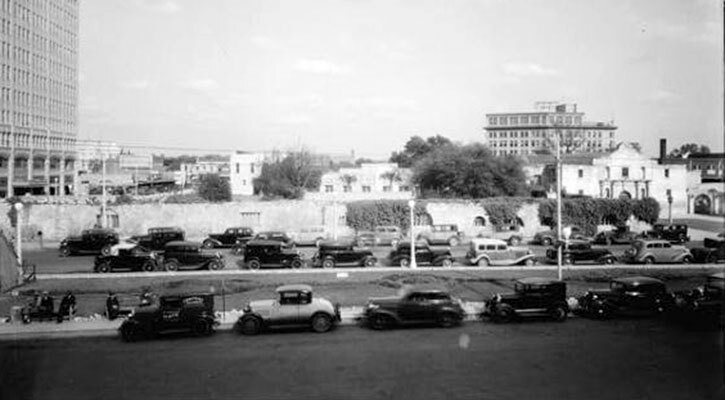 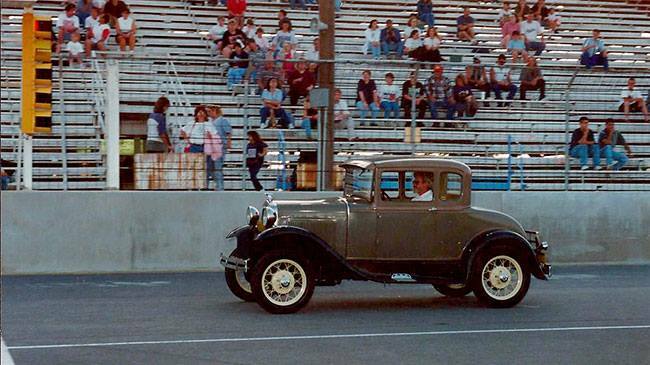 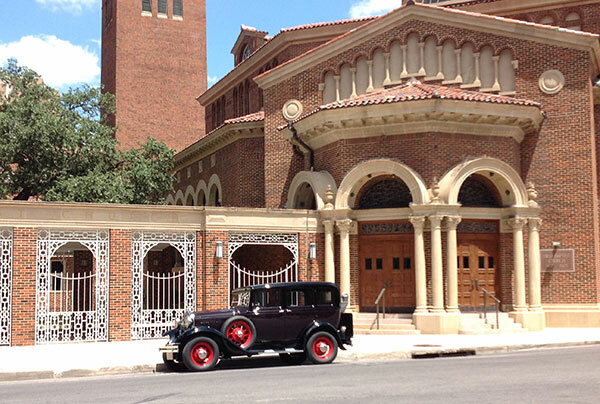 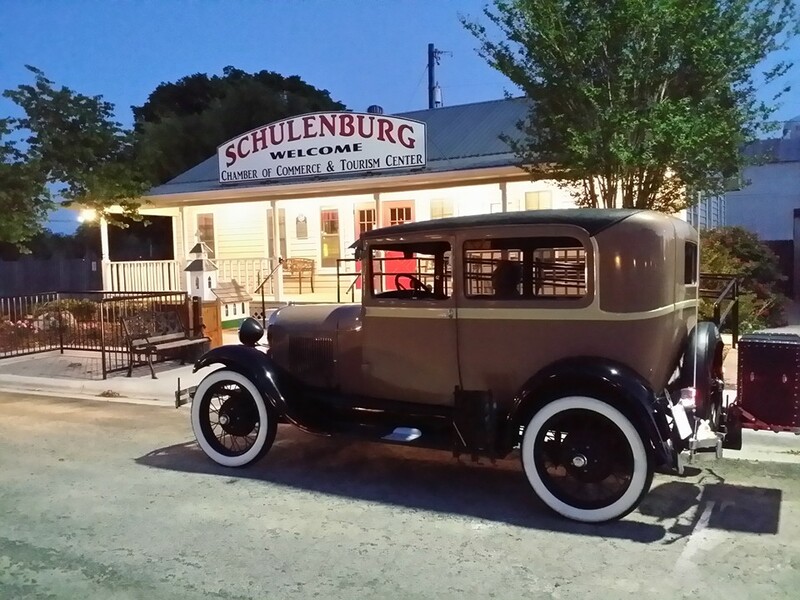 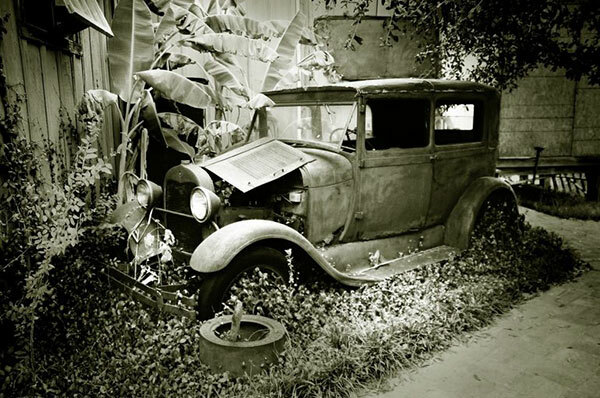 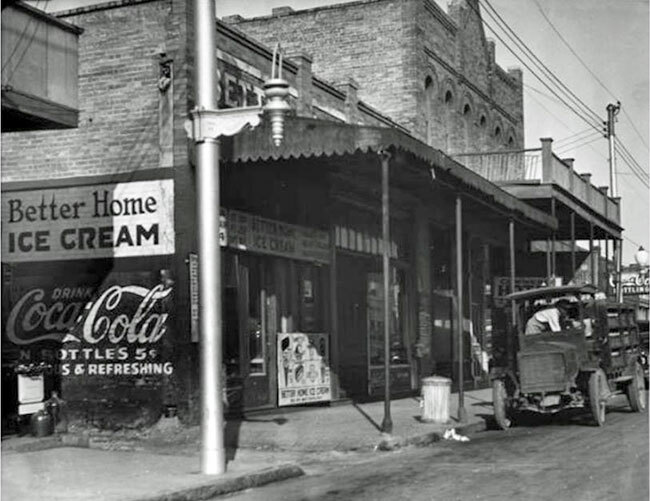 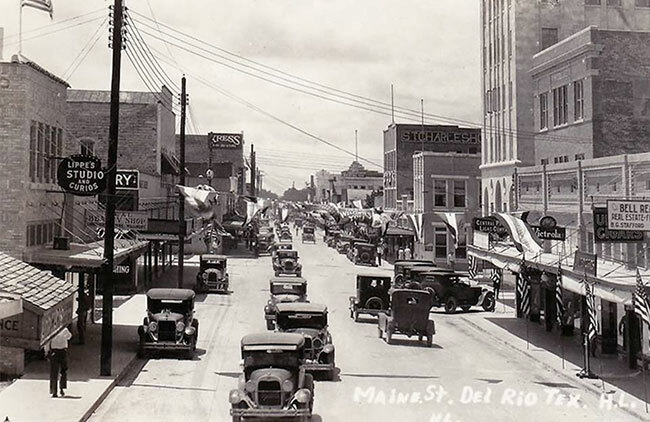 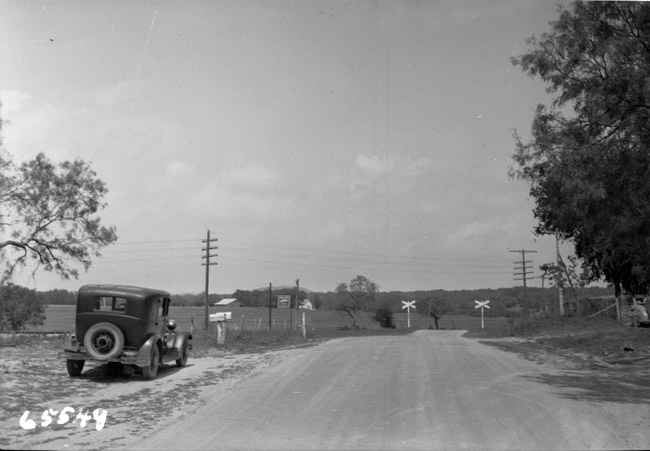 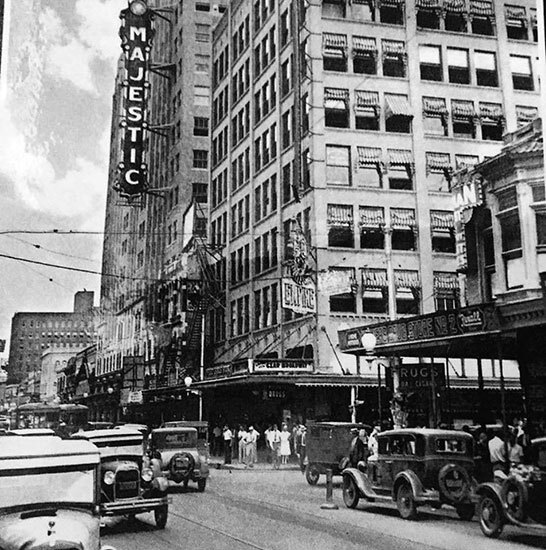 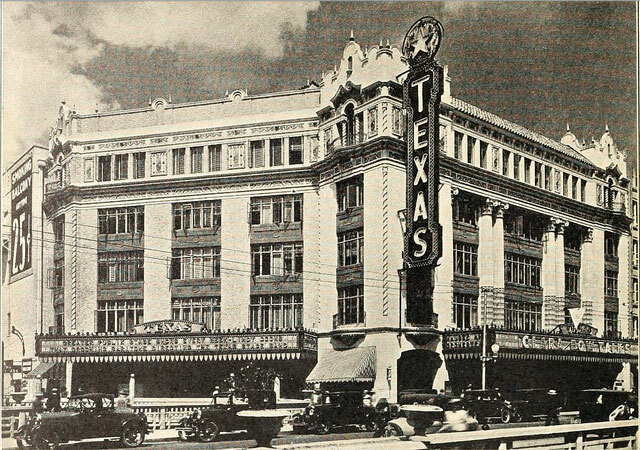 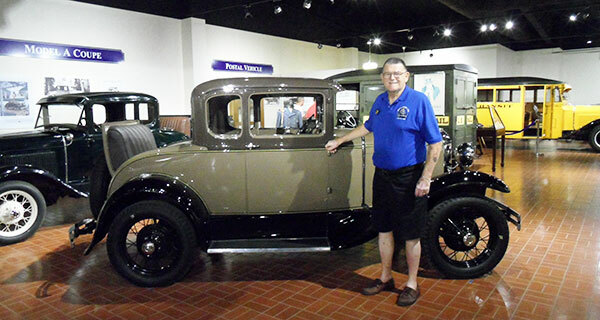 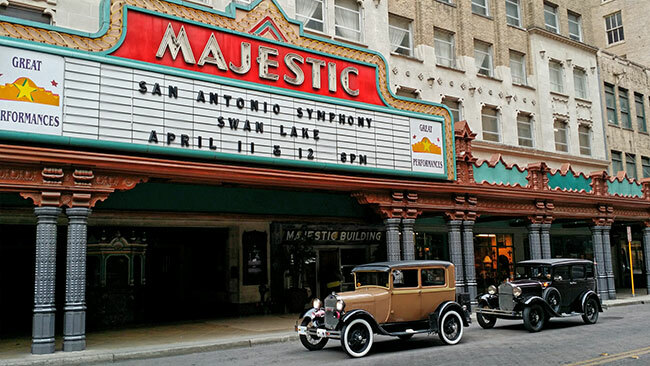 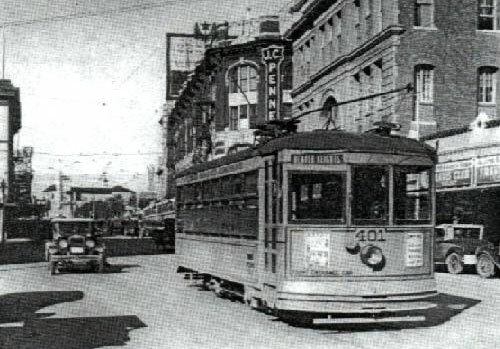 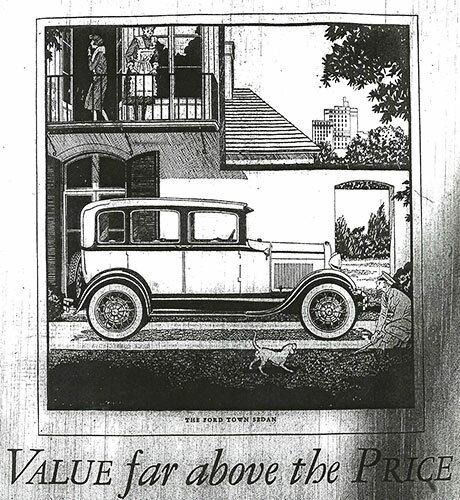 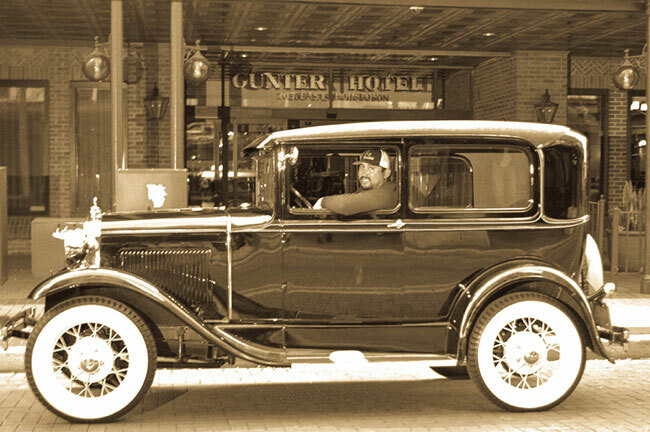 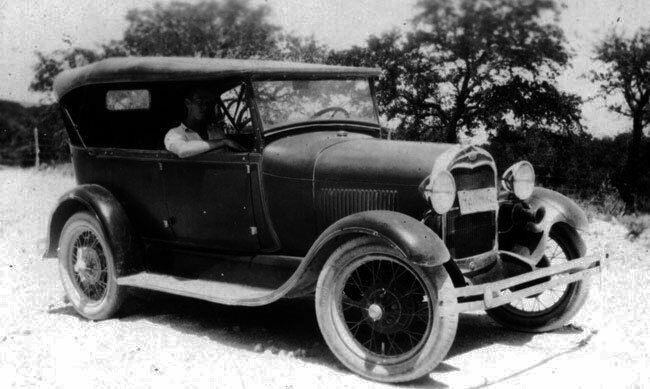 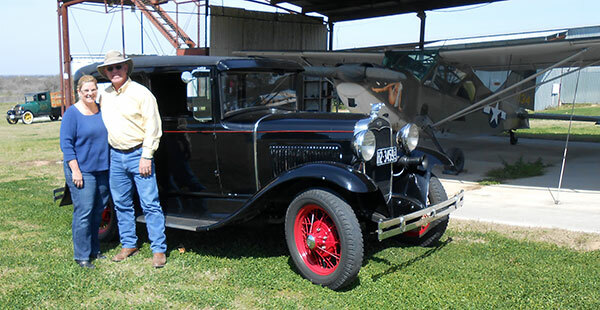 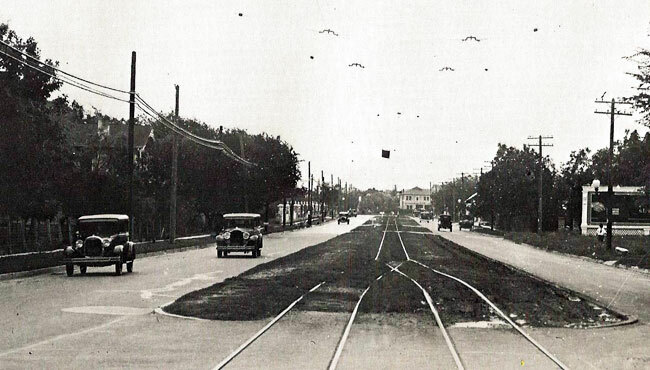 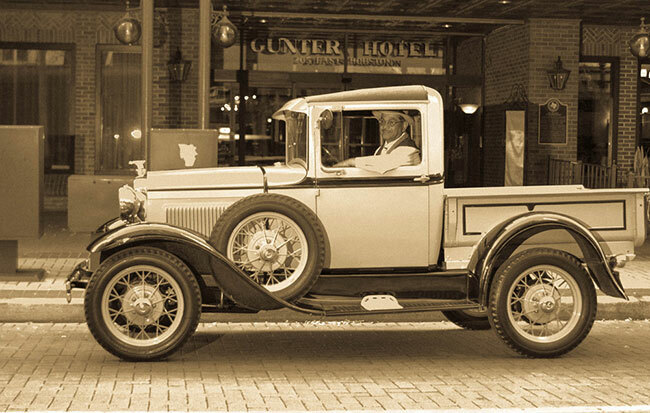 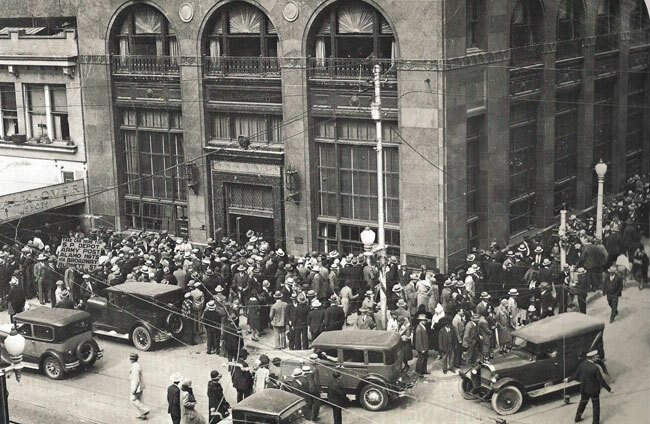 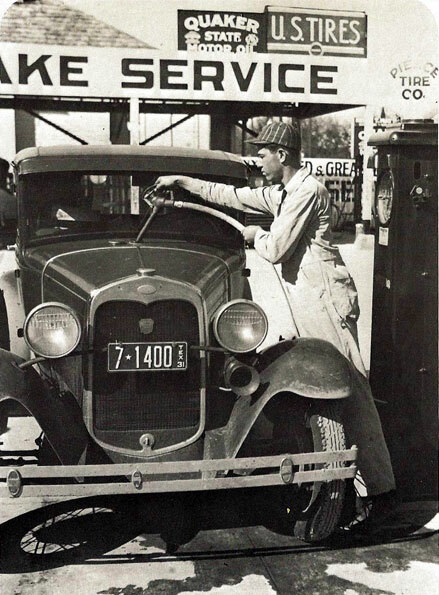 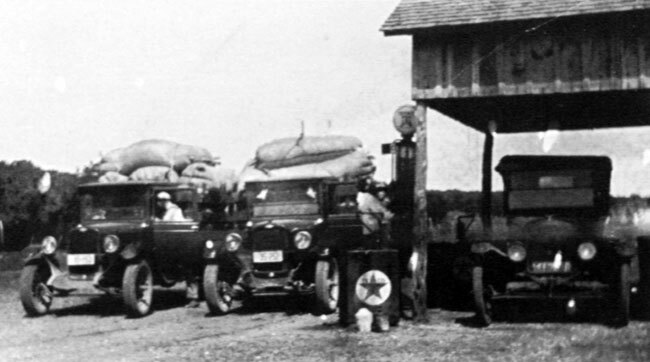 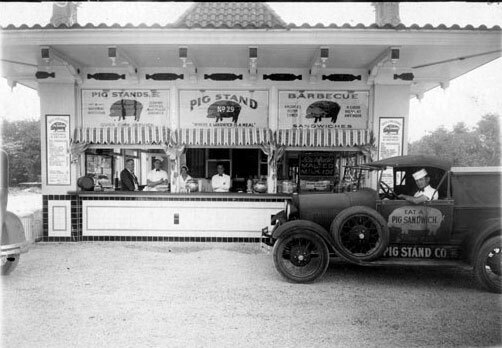 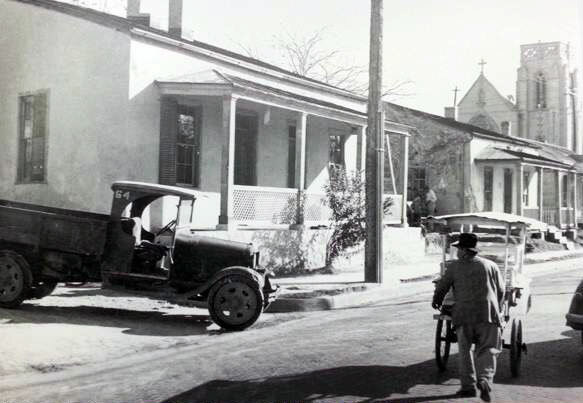 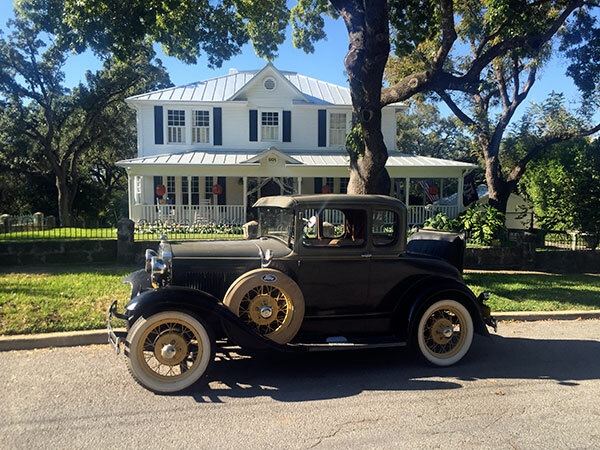 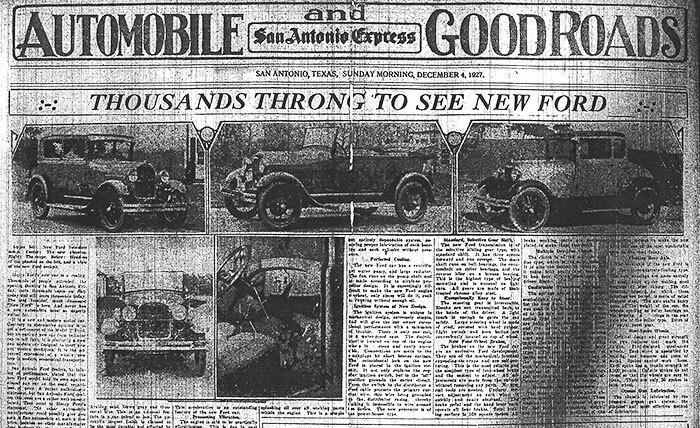 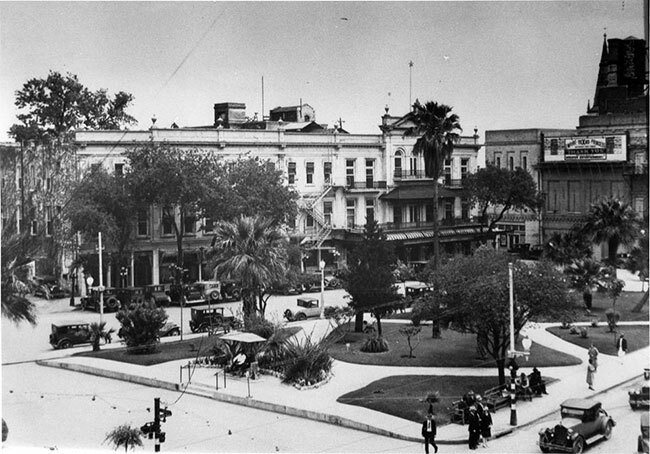 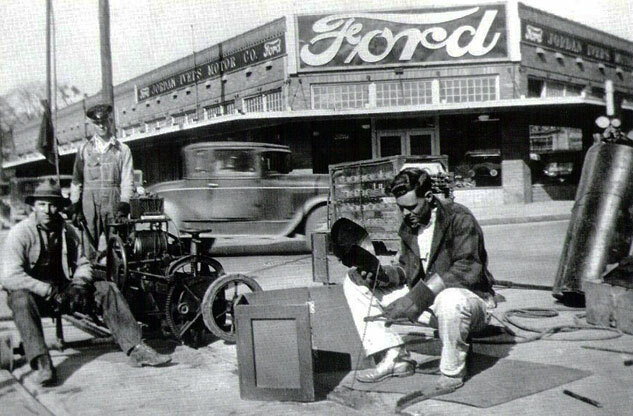 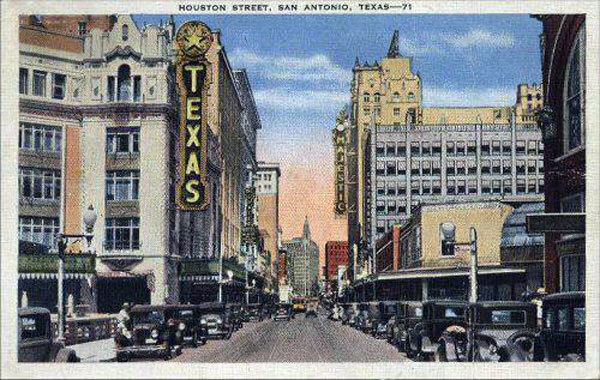 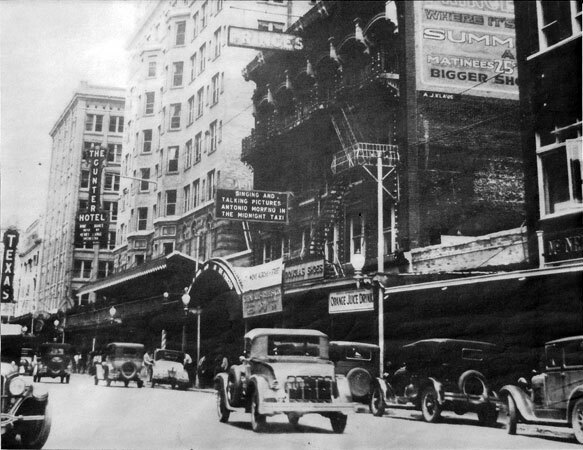 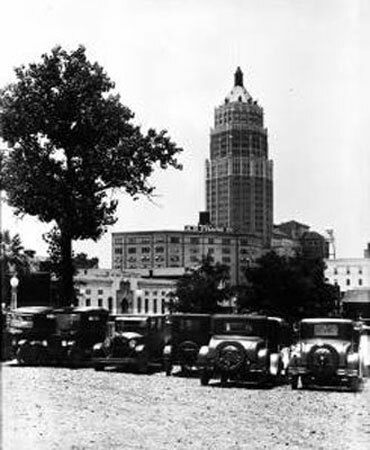 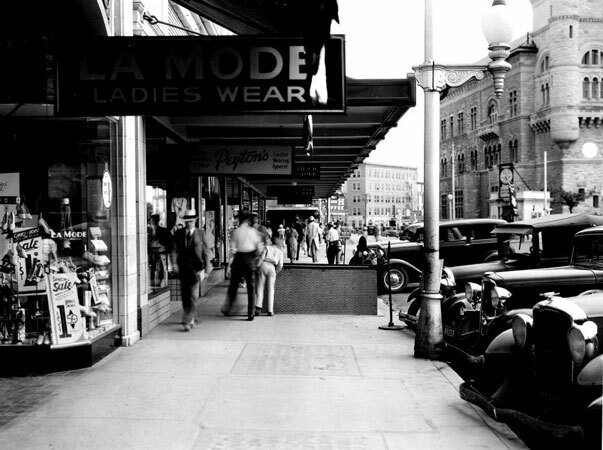 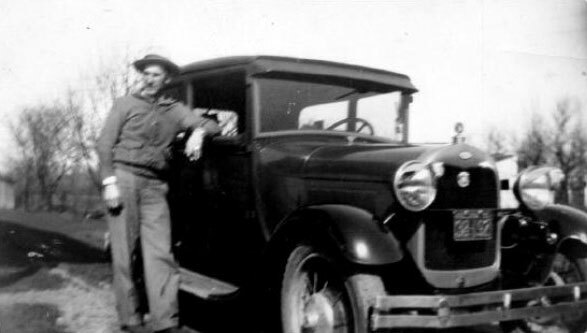 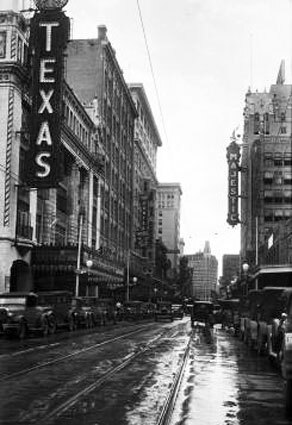 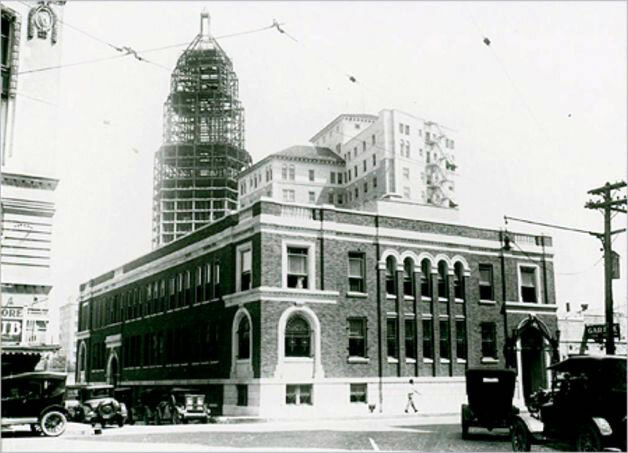 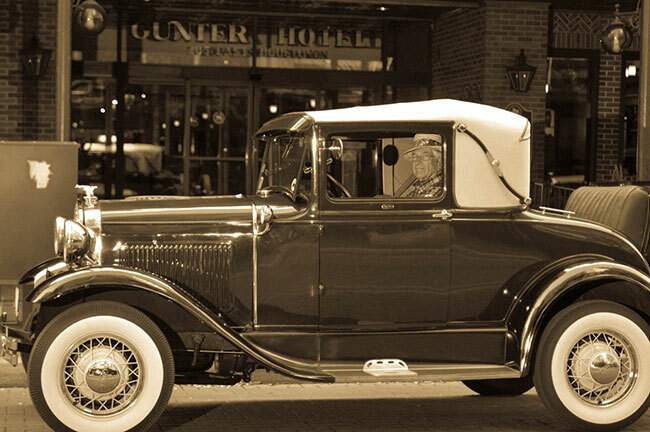 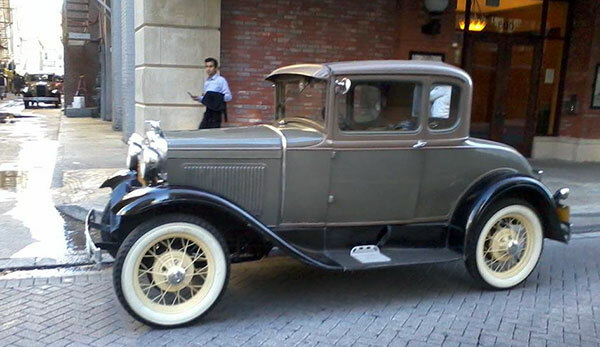 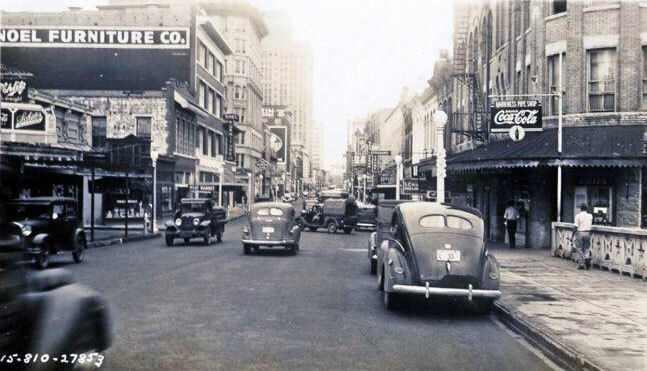 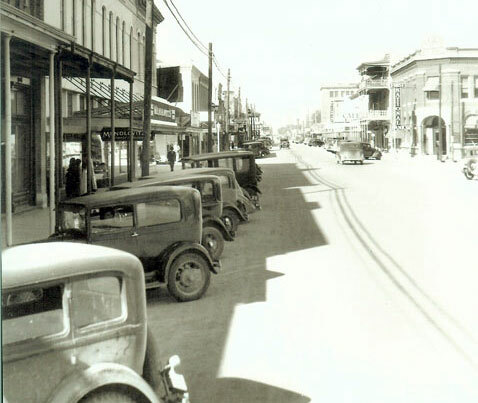 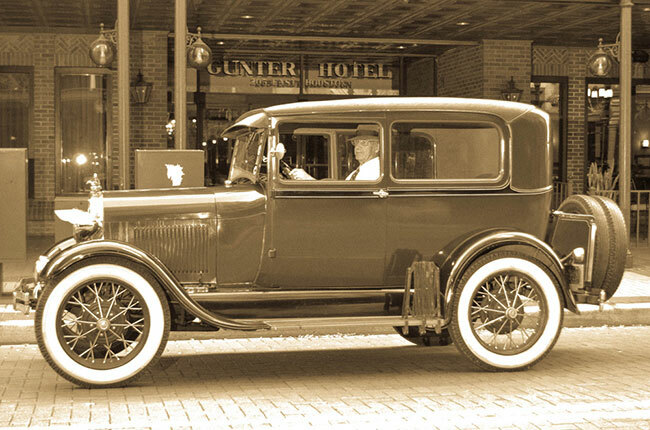 Back in 1927, people in San Antonio were every bit as caught up as people around the world in the excitement surrounding the introduction of the "New Ford of 1928." 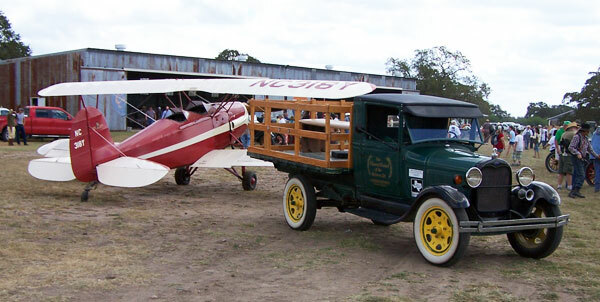 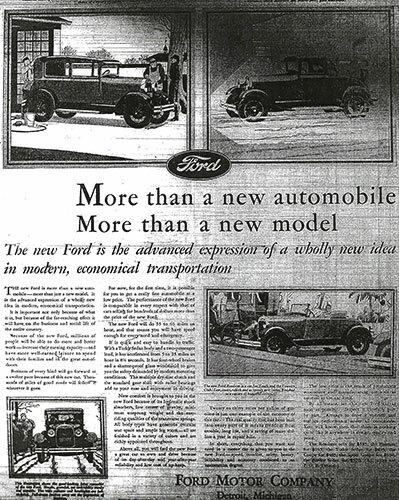 No vehicle in the history of the automobile has been awaited with such anticipation as the “New Ford.” With the Ford Motor Company’s very existence on the line, would the replacement for the venerable Ford Model T be a mild upgrade or an entirely new vehicle. 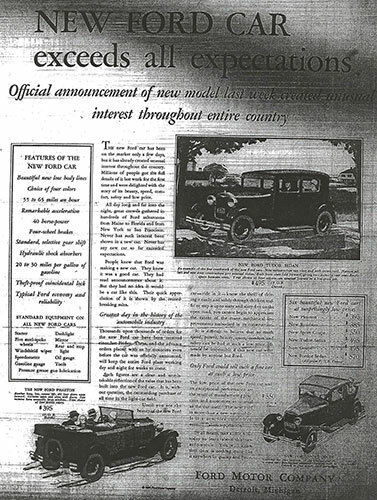 No one was disappointed. 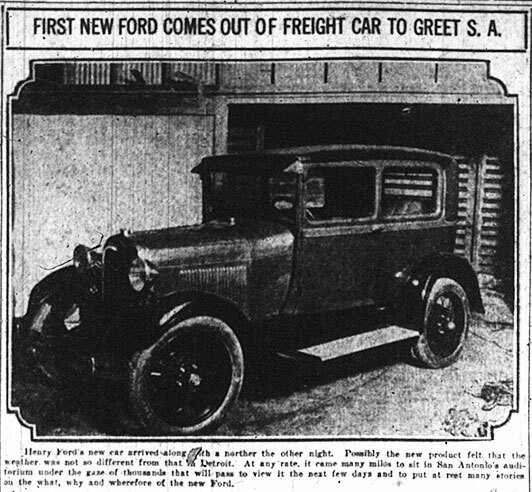 The "Model A Ford" proved to be a resounding success. 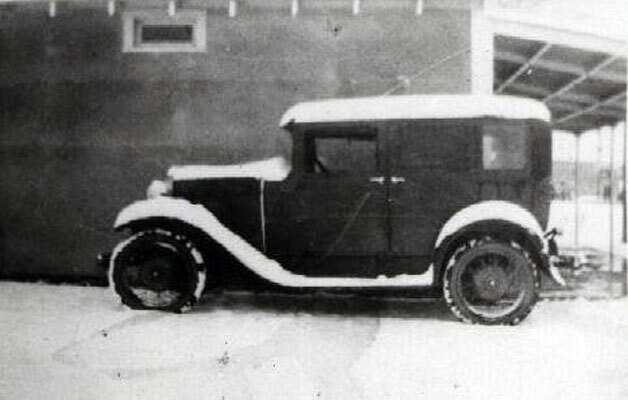 It was handsome, strong reliable and simple. 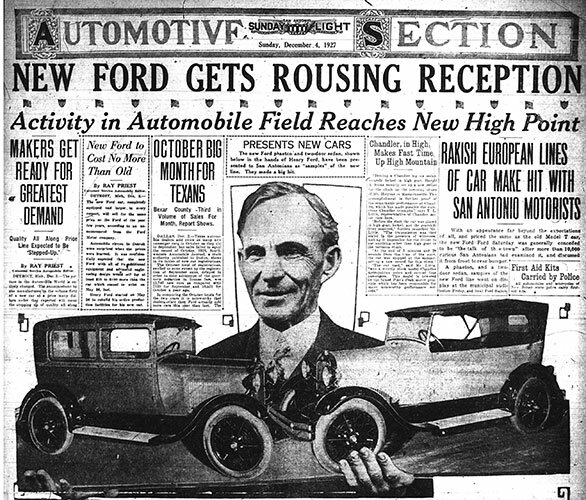 For the next four years it would be a sales leader. 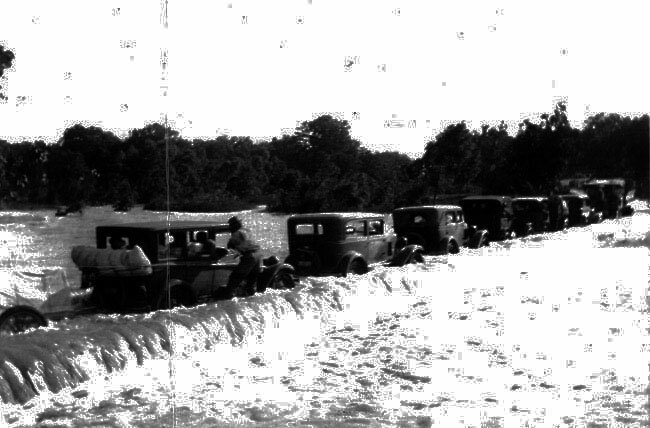 After that, unlike almost all of its peers, it kept going and going and going. 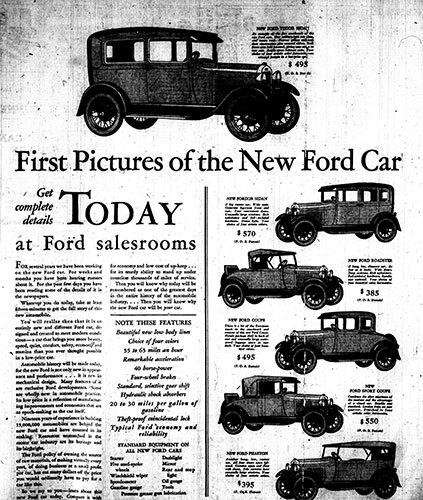 Below you will find newspaper clippings and contemporary images plus a few snaps of Model A Fords in local and national museums. 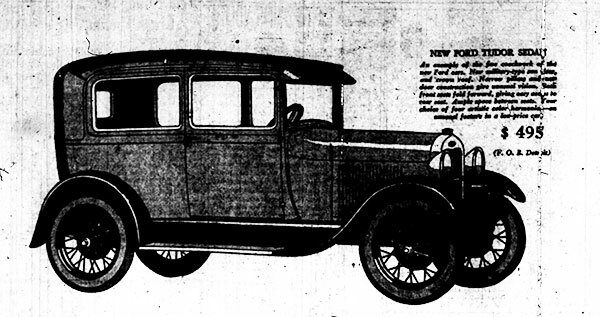 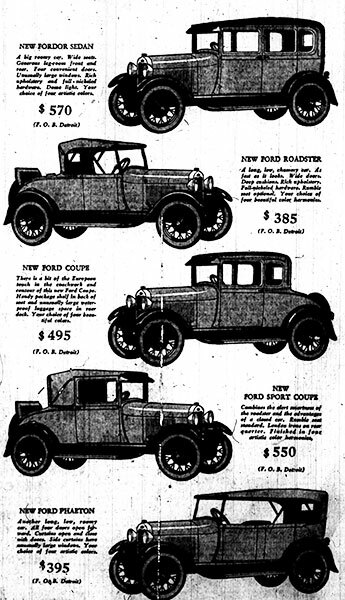 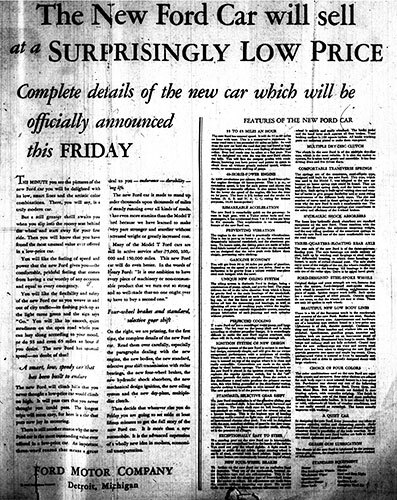 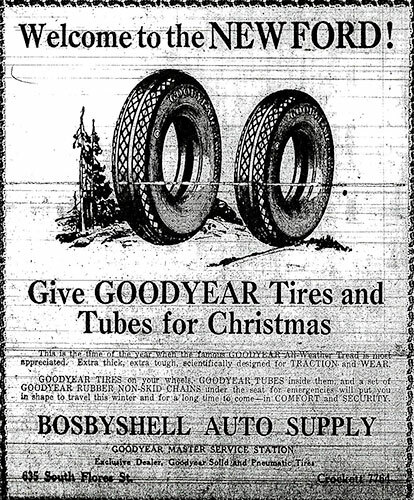 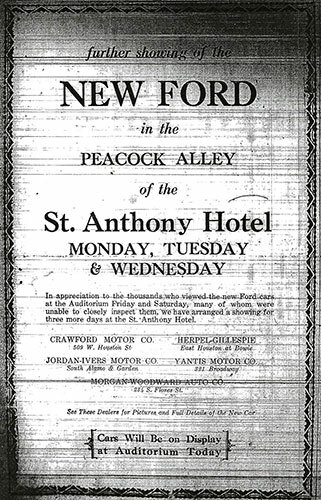 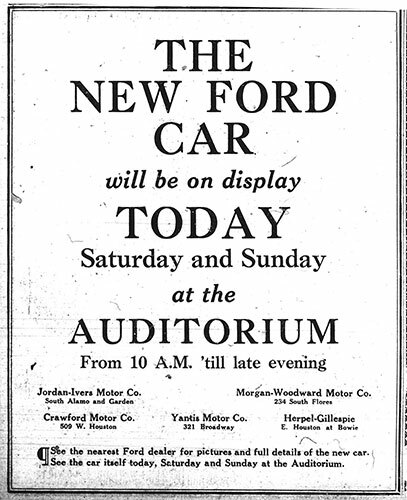 San Antonio newspaper advert by a local auto supplier at the new of the arrival of the "New Ford." 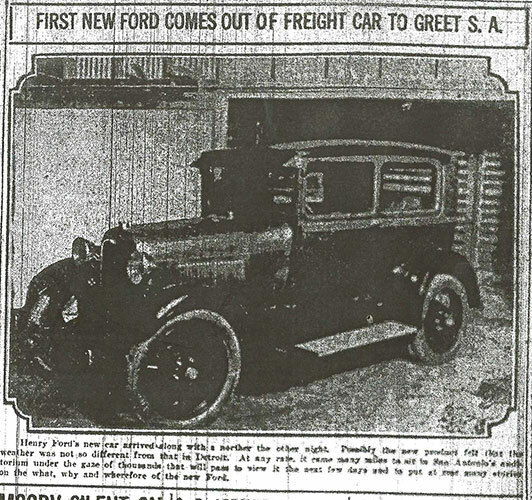 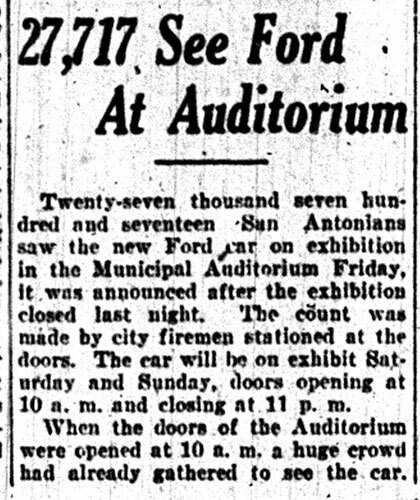 San Antonio newspaper article announcing the arrival of the "New Ford"
San Antonio newspaper article anticipating the popularity of the "New Ford"
Visit the "Tours" page for many more snaps of Ford Model As in San Antonio and surrounding towns.